When I was in the second grade my teacher taught us all how to weave a basket out of construction paper strips. She told us that it was a May Day basket and we were to fill it with flowers and leave it at a special person’s back door. I remember telling my Mother about it and she helped me come up with the flowers to fill it. I left it at a special person’s back door. I don’t paint many flowers. These I painted, per request, for my sister. I’m sure she would not mind my sharing them with all of you and wishing you a joyous day. Happy May Day all you SPECIAL people! 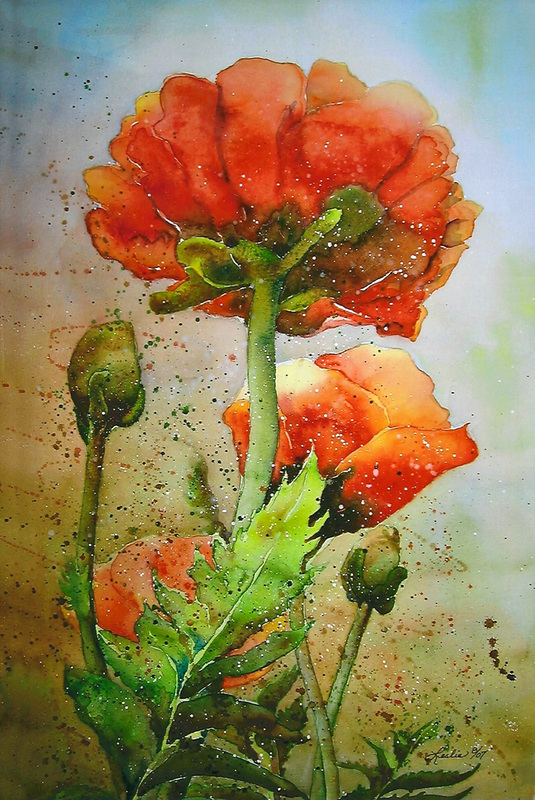 Splattering a painting can enhance an otherwise dull painting, bring a feeling of light and or movement to a piece. Beth Parker has splattered a painting here. 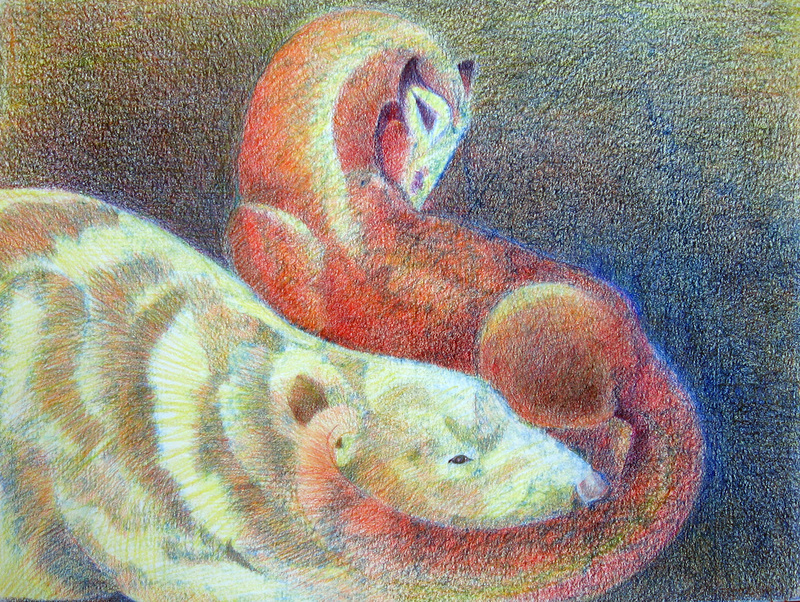 I am taking another class in colored pencil. It’s fun to learn something new and colored pencil is my fun time! This was my first experience this class. The instructor had us make abstract shapes, experimenting with a colored pencil stick. From that design we were to create a finished piece. I don’t know if this would be considered finished, BUT it’s where I stopped. It was fun and primarily mindless and I will do this again. I enjoyed watching something develop. I have posted my last year’s attempts at colored pencil on another page. Click colored pencil tab at top of page to view. Kristen Krimmel discusses her use of a graphite stick and the endless mark making one can explore with it. This is essentially what we did, covering our paper with a design. We, then composed a finished piece from that mark making. The difference was that we used a colored pencil stick. Meet Luke, found running the streets and scarred from head to toe. My sister and her partner rescued him. 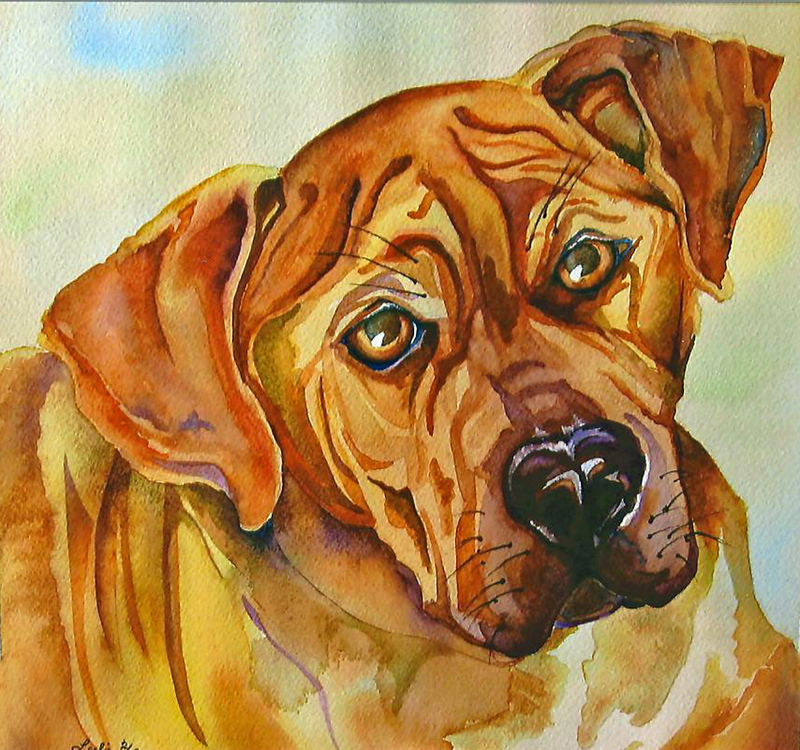 They were told he was mostly ridgeback….NOT. 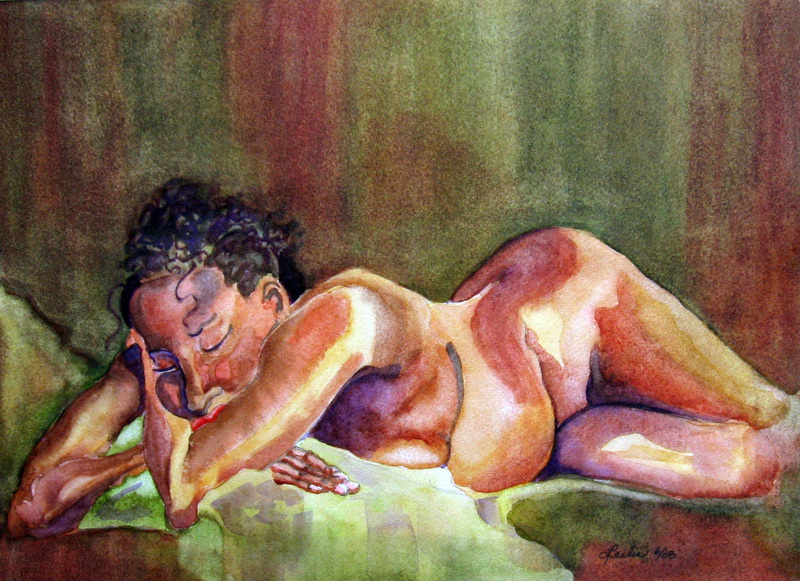 He is ever-thankful for a home…..To give this picture a more full-bodied and opaque look, I toned the background, let it dry, and then drew and painted the portrait on top of that. I painted these trees in a wet paint auction last September for Artlink. I wanted to see if I could render these trees with their different characteristics and still have a unified whole. I would like to try this again sometime soon. 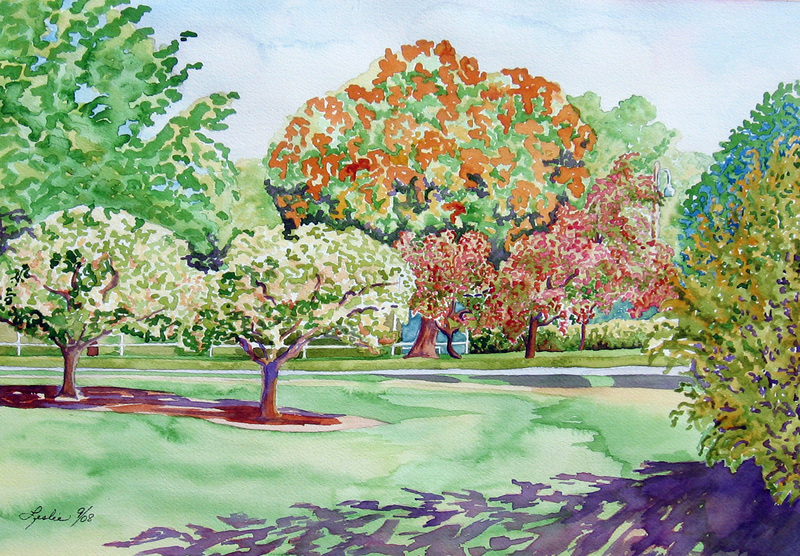 This painting was done outdoors on a sunny day in the park. It was an old cottonwood leaning over the path. 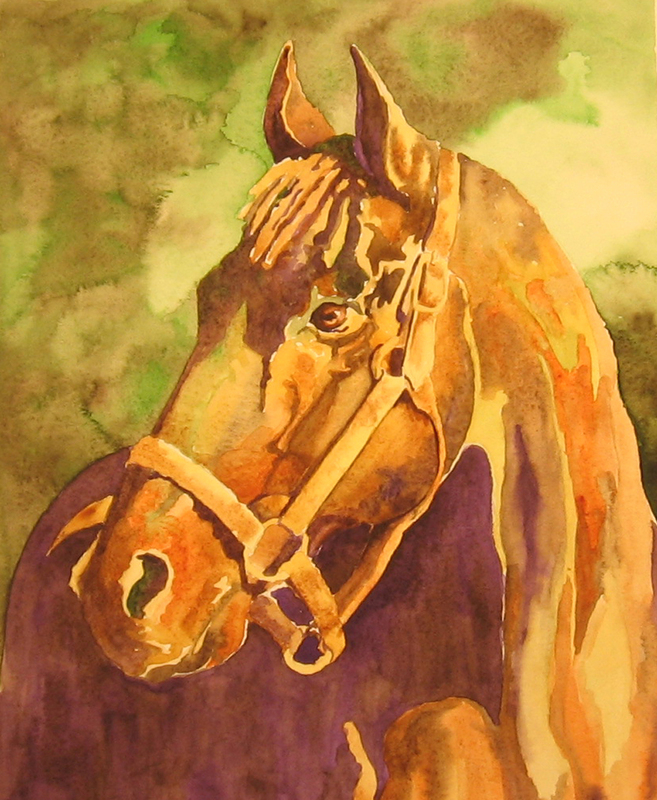 Honoring the polo ponies lost today. 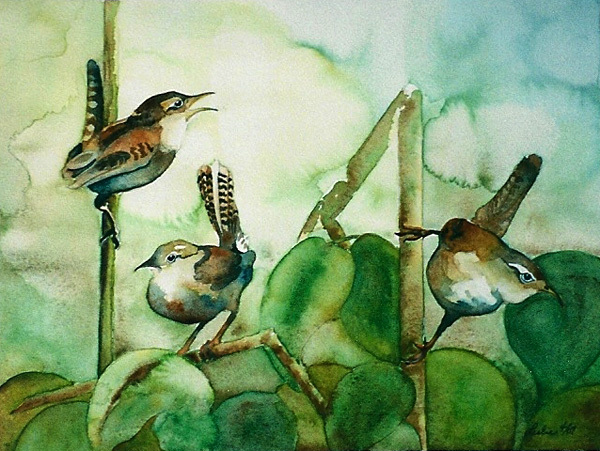 I painted these swamp thrush for a friend of mine who loves bird pictures. They just looked like they might be singing in the SPRING! I liked the shapes in this pose. I chose mostly secondary colors to heighten the restful nature. The above is probably the most challenging request I’ve had. 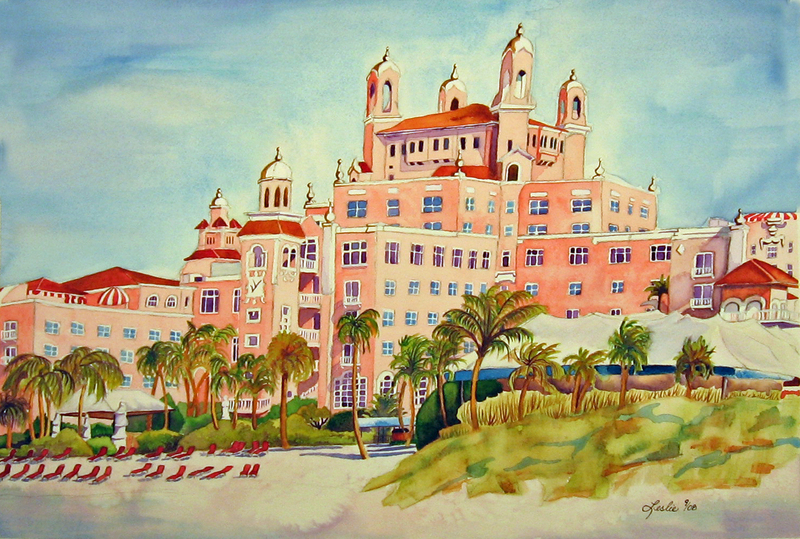 My daughter said she’d like me to do a painting of the Don Cesar for Dad. I said, “sure” not knowing it was this humongous hotel-restaurant and PINK, no less. I’m glad I did it. But I have taken a break from windows and beach chairs. A few years ago I read the book The Known World by Edward P.Jones. I was intrigued by the character, Alice. She was a slave who wandered the roads around and outside the plantation where she was enslaved. The officials allowed her to do this because she was considered “crazy” due to having been kicked in the head by a mule. 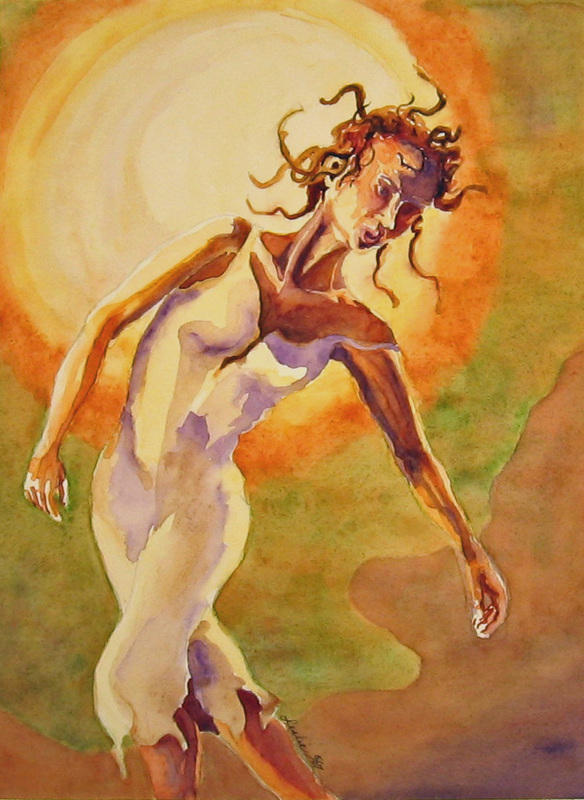 This picture is my take on what she may have looked like wandering in the moonlight.